The above is the childhood game taught by my cousin in my village. 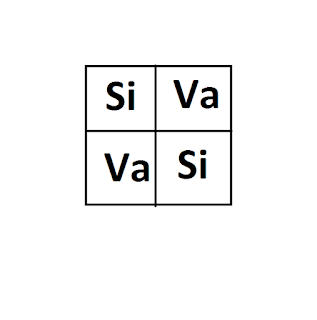 She explained the significance of the squares. Whether you read the letters horizontally from left to right or vertically from top to bottom it will read the same. 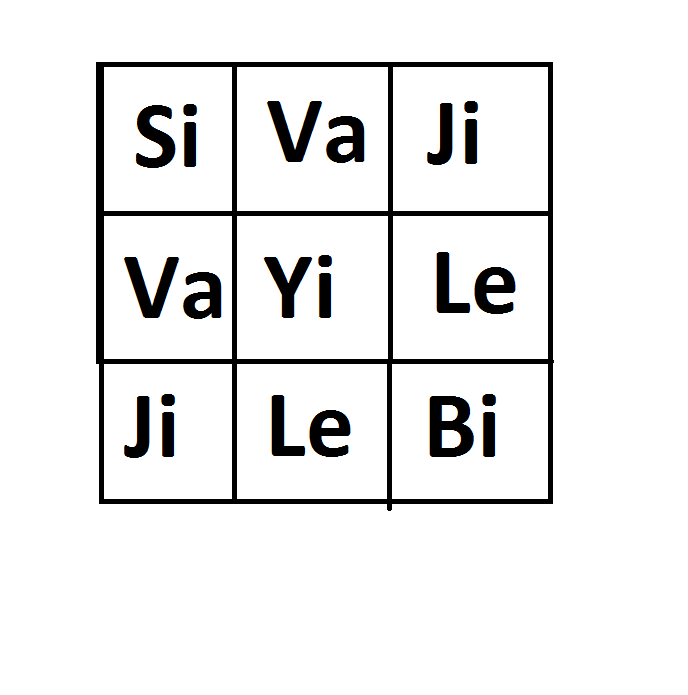 "sivaji vayile jilebi"; which means "in the mouth of sivaji there is a sweet meat". This is Tamil. Then there is another simple one. 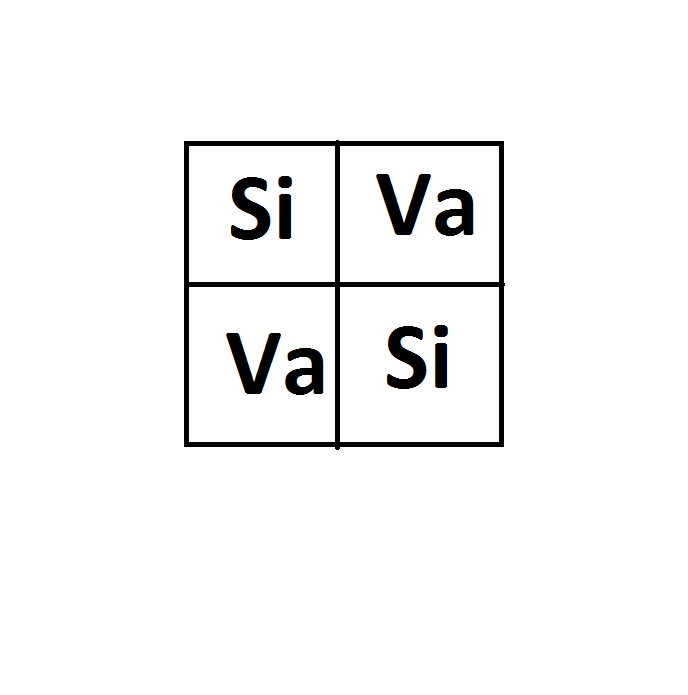 "siva vasi"which means "play an instrument siva". 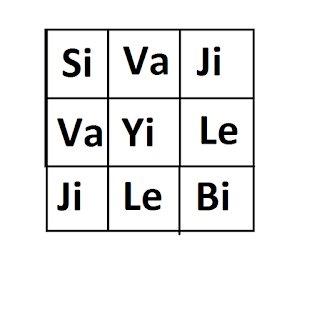 I have realised that names in Tamil are good for these squares. "Selvarasa","Muruga","Saravana","Ramanuja","Rangaraja" or "Mahadeva".Most of the names have a n or j in the end but possibly these are influences of religion in Tamil Nadu, possibly. Or maybe any other anthropological reason.